We hope you enjoy this introduction to the Happiness Program. 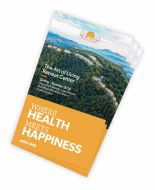 In the video Art of Living faculty member Rajshree Patel discusses what is the key to long-lasting Happiness. Enjoy!